Eight years ago today, an ANC national executive committee (NEC) meeting began at the Esselen Park conference centre in Ekurhuleni. A day later, it was announced that “after a long and difficult discussion, the ANC has decided to recall the President of the Republic before his term of office expires”. The decision to recall Thabo Mbeki enabled a sudden shift of power in the state to President Jacob Zuma. His once powerful security empire is now devouring itself, with few people left he can rely on. As Zuma becomes a growing liability to the ANC, he is also being left legally exposed as his protection force falls apart. By RANJENI MUNUSAMY. In April 2009, the acting head of the National Prosecuting Authority (NPA), Mokotedi Mpshe, announced that the corruption prosecution of President Jacob Zuma would be discontinued. Mpshe said it was “neither possible nor desirable for the NPA to continue with the prosecution of Mr Zuma”. That announcement paved the way for Zuma to be elected president of the country a few weeks later without corruption charges hovering over him. Had Thabo Mbeki seen out his term of office, would that announcement to drop Zuma’s prosecution still have been made? We will never know. But what is clear now is that Mpshe, whose decision was found by the High Court to be “irrational”, was able to make such an announcement because he had the political backing to do so. In the seven months from when Mbeki was recalled to when Mpshe made the announcement to drop the corruption charges, Zuma was already effectively wielding power, although he was only to be inaugurated in May 2009. The most powerful part of the state, the security apparatus, had shifted allegiance from the former president to the future president. 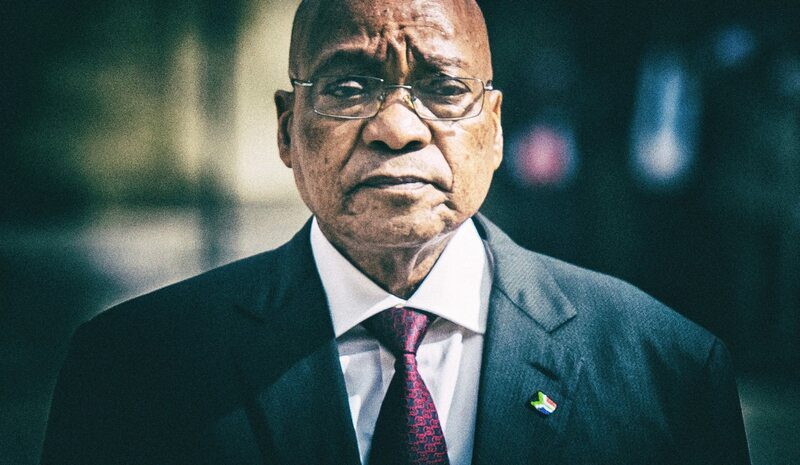 When Zuma became president, his first priority was to ensure that people he trusted were in key positions in the security agencies, including what was then the National Intelligence Agency, the South African Secret Service and other intelligence organs, as well as the police and the NPA. But within his first term, most of the people whom Zuma had previously trusted left their positions due to fallouts with their political bosses, or had to be removed. This included former intelligence directors-general Gibson Njenje, Moe Shaik and Jeff Maqetuka. At the NPA, Menzi Simelane’s appointment as National Director of Public Prosecutions (NDPP) was found by the Constitutional Court to be invalid. Mxolisi Nxasana was appointed in August 2013 and was out of the job by June 2015. The issue raised against Nxasana was his security clearance, but behind the scenes, a war was raging at the NPA with Zuma’s allies, Nomgcobo Jiba and Lawrence Mrwebi. In March 2011, the troubles of Zuma’s point man at police crime intelligence began. A warrant of arrest was issued for former crime intelligence boss Richard Mdluli in connection with the murder of Oupa Ramogibe. Six months later Mdluli faced further charges of fraud and corruption in the Commercial Crimes Court in Pretoria. Despite attempts by the former police minister, Nathi Mthethwa, to shield him, Mdluli was suspended by the former national police commissioner, Nhlanhla Mkhwanazi. Mdluli has been dangling in purgatory ever since, still suspended and waiting for his case to proceed while trying to run the crime intelligence division from the wilderness. In a report in City Press this weekend, Mdluli said he was destined to become the national police commissioner. “As a result, those who wanted that post [national commissioner] started a campaign to discredit me and even made up cases against me,” he told the paper. When it came to national police commissioners, Zuma’s picks for South Africa’s top cop bombed twice. First it was Bheki Cele, who lasted three years. He was fired after a board of inquiry found him unfit for office and recommended his removal due to his involvement in the police lease deals scandal. His successor, Riah Phiyega, was two months into the job when police shot dead 34 striking mineworkers at Marikana. Three years later, she was suspended based on the findings of the Farlam Commission of Inquiry into the Marikana massacre. She remains suspended until the outcome of a board of inquiry into her conduct is announced. After purging the police service of experienced and high ranking officials, many of whom came to the South African Police Service from the ANC’s former military wing, Umkhonto we Sizwe, Zuma has a new hatchet man: Mthandazo Berning Ntlemeza. As head of the Directorate For Priority Crime Investigation, known as the Hawks, the former apartheid-era policeman wields tremendous power and is charged with the state’s most high-profile investigations. Ntlemeza’s collaboration with Mdluli to ensure the axing of former Hawks head Anwa Dramat earned him a stinging rebuke by a high court judge. “In my view, the conduct of the third respondent (Ntlemeza) shows that he is biased and dishonest. To further show that third respondent is dishonest and lacks integrity and honour, he made false statements under oath,” North Gauteng High Court Judge Elias Matojane said. But Ntlemeza remains under the supreme protection of Police Minister Nkosinathi Nhleko as he bumbles through the most explosive case on his desk – the investigation into the special intelligence unit at the South African Revenue Service (SARS). The Hawks unit is trying by every means possible to arrest Finance Minister Pravin Gordhan and former SARS officials Ivan Pillay and Johan van Loggerenberg. They have been working with NPA advocates to try to stitch together a prosecutable case based on flimsy evidence. Ntlemeza’s incompetence was on full display in Parliament last week when the Anti Corruption Task Team he heads appeared before Parliament’s Standing Committee on Public Accounts. Ntlemeza and other members of the task team, including Jiba from the NPA and SARS commissioner Tom Moyane, came under heavy fire, particularly from ANC MPs, for poor performance and having very little clue about what they were doing. SARS and the NPA have their own problems. Moyane is under pressure after enjoying special favour from the president in the face of a running conflict with Gordhan. Moyane had to suspend his second-in-charge Jonas Makwakwa last week after it was revealed that he had been receiving “suspicious and unusual payments” in his account between 2010 and 2016. Moyane himself could be in trouble for not acting on the matter sooner and for possibly trying to cover it up. At the NPA, apart from the NDPP Shaun Abrahams having to decide what to do with the hot potato that is the corruption charges against the president, he had to put his deputy Jiba and senior official Mrwebi on special leave last week. The North Gauteng High Court struck the two off the roll of advocates last week for being not “fit and proper” to be advocates based on their handling of the Mdluli and spy tapes cases, as well as their attempts to prosecute former KwaZulu-Natal Hawks head Johan Booysen. The “good office of the President of the Republic of South Africa” has had a multiplicity of problems, even without Jiba and Mrwebi’s assistance to bring it into disrepute. Zuma’s circle of friends and protectors in the state is falling to pieces at a time when he could face corruption charges again and when there is a growing realisation in the ANC that he is a dead weight and destructive to the party. With the ANC now preparing to elect a new leader next year, Zuma’s powers and privileges are set to diminish and shift to whomever will succeed him. Unlike Mbeki, Zuma needs special protection from the state and the ANC after he leaves office. He has skeletons bursting out of his closet, some of which could have legal implications. And Public Protector Thuli Madonsela’s last hurrah, the investigation into the Gupta family’s involvement in the state, could land Zuma in further trouble if he is shown to have benefitted from their activities. With Zuma no longer having a strong protection force in the state, can he rely on his allies in the ANC to shield him when he is no longer leader of the party? Will those who surround him, many of them political opportunists, continue to stand by him when he no longer has political power and state power has shifted? Zuma would do well to reflect on the events of eight years ago this week. Those “Eight days in September” that saw Mbeki unseated and cast out, opened the doors to eight years of unfettered power for Zuma. But now the great unravelling leaves the president politically and legally vulnerable, with only bumbling incompetents still on his side.